When Debbie and Arnold found themselves performing on the same live music circuits in Los Angeles, they soon began playing and performing together at fundraisers and charitable events. With their contrasting musical styles and shared philanthropic interests, Debbie teamed up with Arnold, playing the Pasadena Make Music Festival, Relay for Life Cancer Awareness festival, and several other fundraising events in support of local homeless shelters, which Arnold had helped organize. In 2015 Debbie and Arnold decided to form a permanent band and started writing songs for the first "Crave and Wonder" album, "Tales From The Porch". "Crave and Wonder" is a mix of Debbie's rootsy New Orleans influences that include country, blues and Americana, and Arnold's guitar driven European hard-rock and British blues roots. Growing up in the 'Big Easy', Debbie recalls a childhood filled with Fats Domino songs her mother often played at home, and she cites Dr. John, Linda Ronstadt and Lucinda Williams as her main influences. Arnold grew up in Germany listening to The Rolling Stones, Beatles, Pink Floyd and Deep Purple before moving to Los Angeles in 1990. The resulting blend of these very different musical backgrounds can be described as a happy Lucinda Williams meets Sheryl Crow, with members of the Beatles and Deep Purple painting the soundscape for the often humorous and thoughtful lyrics. Arnold was born and raised in Germany. When he saw Elvis Presley on TV at the tender age of 11, he knew he had to have a guitar too. Arnold first studied with German acoustic guitar virtuoso Peter Luce. However, Arnold soon discovered Eric Clapton, and the sheer musical power of Deep Purple and Ritchie Blackmore. Soon enough, he switched to electric guitar and joined his first rock band. The hair grew longer, the fingers more adept, and many gigs and demo recordings followed, until he left Germany to attend the Guitar Institute in Hollywood, CA in 1990. At the Musicians Institute / GIT he studied with guitar greats Bruce Bouillet and Paul Gilbert from Racer X, jazz giant Scott Henderson and country guitarist Steve Trovato among many others. Immersing himself in all kinds of music styles, Arnold made Los Angeles his new home and continued playing and recording with various bands over the years. 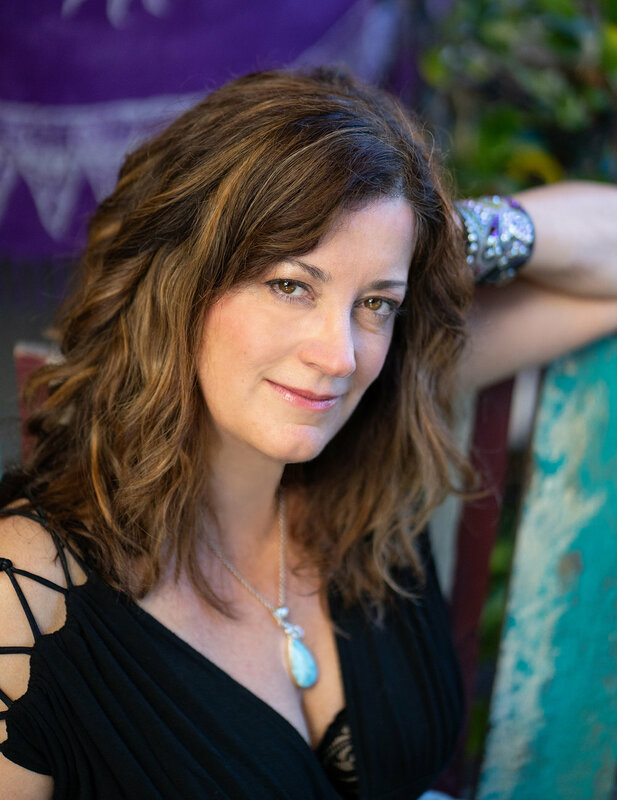 His current project, Crave and Wonder is a collaborative effort with Louisiana native singer / songwriter Debbie Dragna, featuring Americana influenced roots music with a good dash of hard-rock and some blistering guitar playing. Debbie was born and raised in a little bayou town near New Orleans Louisiana and grew up real close to the Mississippi River. She began singing at her local church at the age of 10 and started taking vocal and guitar lessons that same year. In high school, she was a part of the Immaculata High Singing Group and performed in Mardi Gras parades and other events around her great city. Debbie cites her early musical influences as Dr. John, Fats Domino, Linda Ronstadt and Lucinda Williams. She relocated to Los Angeles two decades ago to chase her Rock’n Roll dreams and she has been singing and making music ever since then. In 2010 Debbie released her first EP, "Debbie Lynn Langridge - Especially on Sunday"
Her current project, Crave and Wonder is a collaboration with German guitar player and song writer Arnold Schmidt, featuring Americana roots blues music, with a good dash of some Rock’n Roll!